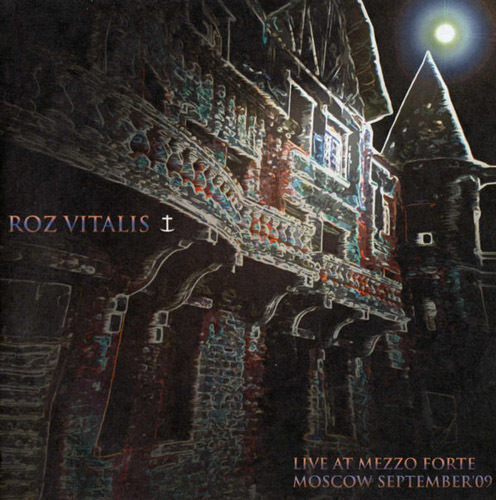 Roz Vitalis was created by composer and keyboardist Ivan Rozmainsky in 2001. Primarily it was one-man band. In 2003 ROZ VITALIS had become trio and included also Nadezhda Regentova (keyboards, voices) and Vladimir Polyakov (keyboards). In 2005 line-up experiences expansion. Now the band includes also Klara Metelkova (flutes, harmonica, vocals) and Yuri Verba (clarinet). 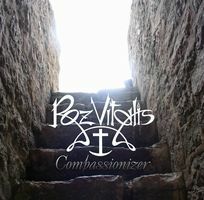 Style of ROZ VITALIS is RIO/Avant-Prog/Symphonic Prog/Psychedelic/Space Rock. The main influences are LE ORME, GENTLE GIANT, KING CRIMSON, YES, ELP, SUPERSISTER, JETHRO TULL, DEPECHE MODE, AFTER CRYING. Music of the band was compared by prog-reviewers with GENTLE GIANT, UNIVERS ZERO, BRIAN HIRSCH, KING CRIMSON, TRIUMVIRAT, KRAFTWERK etc. In short, music of ROZ VITALIS can remind KING CRIMSON and GENTLE GIANT, but is keyboard-based, with rare female voices and electronic drums. It is "chamber electronic prog" rather than "rockish music". I got in touch with Ivan and he answered my questions. Our Roz Vitalis biography is quite extensive so let's bypass the formalities. But why did you choose that name and which bands were you influenced by ? The name “Roz Vitalis” comes from the Latin “ros vitalis”, meaning "living water" (or, more exactly, "living dew", since "ros" is "dew"). The misspelling is, of course, intentional, suggesting my ROZmainsky family name. The Water can imply life, purification, joy. The logo - the symbol of the cross on a crescent moon - is an ancient Christian symbol. Music of Roz Vitalis is influenced mainly by Le Orme, King Crimson, Gentle Giant, Yes, ELP, Supersister, Pink Floyd, and some other bands. How was the music scene in Russia when you started up Roz Vitalis ? Roz Vitalis exists since 2001 as a studio project, since 2005 as a project playing live gigs and since 2008 as a full-blown rock-band. Both when I started up Roz Vitalis and now the reality of the Russian prog-scene is difficult. On the one hand, there are many bands playing progressive rock. However, on the other hand, an existence of the most of such bands is a something like a struggle for survival. Roughly speaking, expenditures exceed incomes. It is the first album. It devotes to “spiritual ascension”. Too much synthetic sound, and personally I do not like sound of the programmed drums. But some people think that it is one of the best albums ever. The song called “Ascension Dream” is a classic one of Roz Vitalis, the “oldest hit”. Although, its live “rockish” version is strongly different from the studio one. This is EP album which contains short version of “Ascension Dream” which is called “Painsadist (Ascension DreaMix)” plus 6 new tracks. Some people treat the title track as the best opus of Roz Vitalis. We play now abridged version of this composition in concerts. Another famous opus is “Play with Everlasting Fire” which is a something like a mix of Gentle Giant-oriented approach and very dark electronic music with strong touch of experimentalism. Perhaps, it is the best studio album recorded during the first five years of Roz Vitalis existence. 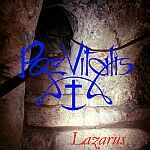 “Lazarus” was very popular at online Prog Radio Stations. The style is a mix of Progressive Electronic Music and Avant Prog with strong touch of ethnic music with influence of Dead Can Dance. The most famous tracks are “Nepsis (Pulvis Version)”, “Transspace Express”, and “Leopard Hunt”. These are very dynamic songs with rapid changes of “events”. The concluding track is the first attempt to work with epic forms of music. “Becoming the Poor-in-Spirit (Dead Can Rise 3)” takes approximately 22 minutes and contains all elements of styles taking place in the previous tracks. The album is devoted to Lazarus, whose resurrection from the dead described in the Bible. This is the second EP album containing only three tracks. The title track is an epic one. It is an attempt to “explore” light sides of the complex progressive rock. The two other tracks are the dark ones, and their moods remind the previous albums. This is the most ambitious and “high-flying” studio album. Only 3 tracks take 70 minutes! The album is an attempt to express - via music – theological idea of Trinity. Titles of all tracks and the whole album contain the word LIGHT in different languages. Musically style is a something like a polyphonic Gentle Giant-oriented approach incarnated in prog epics with light mood. It can be recommended for those who are interested in epic polyphonic prog music. This is the most controversial album. 14 tracks take more than 70 minutes. This is the first attempt to experiment with acoustic instruments: synthetic keyboards and programmed drums are supplemented by (soprano) recorder and clarinet. It is very experimental stuff. The opening track “Destiny Dethroned” is an important part of almost any live show of Roz Vitalis during the last two - three years. This album is the fifth studio one and the most popular work. Many people think that it is the best opus ever. The sound is based on keyboards and drums whose programming is almost not different from real (electronic) drumming. This sound is supplemented by guitar and clarinet, and also recorders and metallophone. “Disruption” and “Annihilator of Moral Hazard” are the integral part of our live gigs for a long time. Also I like to play my favorite songs - “Autumn of Hypocrisy”, “Elusive Goodness” and “Dances of Lost Opportunities” - as a piano solos in concerts. Many people believe that “Dances…” is the best studio track of Roz Vitalis. The stylistic comparisons with Univers Zero, King Crimson, Halloween and others took place. According to the backing cover, “the goal of this concept album is to unmask and reveal the spiritual evil of the modern humanity’s materialist vainglory”. The album can be ordered at RAIG, Musea Records, Kinesis, Record Heaven and other labels. 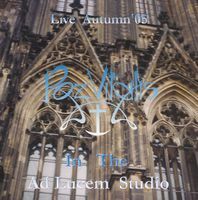 This is the first live album of Roz Vitalis. It is created by three musicians playing on keyboards/recorders/guitar and recorded at my home studio. Many tracks are just free improvisations. The style of this album is unknown for me. This is the first album without any programming and samples. This is the second live album and the first album recorded by Roz Vitalis as a fully-fledged rock-band. The line-up includes five players on keyboards and winds/guitar/bass/drums and percussion/voice, keyboard, percussion and winds. The track-list includes newly arranged versions of famous compositions from "L'Ascensione", "Painsadist" (EP), "Enigmarden", and "Compassionizer" albums, and also previously unreleased songs and newest stuff. The style of this album, to some extent, approximates to "traditional" art-rock/post-rock and moves away from avant-prog, electronic and classical music which are important tags for "studio" Roz Vitalis. The album can be ordered at RAIG, Record Heaven and other labels. What is your latest update and plans for this year and beyond ? We are waiting for the release of our “Overcoming-Up” album by Mellow Records completed in 2008. Now we have almost completed two newest studio albums titled “Revelator” and “Gentleness in Disgrace”. Both albums are in the “mastering stage”. “Revelator” album includes only our own music, “Gentleness in Disgrace” album contains both our own stuff and some covers. We plan to “promote” these albums. I already wrote to Bernard from Musea Records about possible release of “Gentleness in Disgrace” by his label. I plan to send him CDR copy of this album in February. I will also look for a label which will want release “Revelator”. Sound of both these newest albums is not synthetic and created by a lot of acoustic instruments (flutes, trumpet, grand piano, bassoon etc) and also electric ones. by Musea Records and some others by Mellow Records. We have plans to play live concerts in February and March with the band titled Dasputnik (Finland). In February they should come in Russia, in March we should come in Finland. All these plans are essential for us. Now the current line-up includes Ivan Rozmainsky on keyboards, Vladimir Polyakov on voice, leyboards, percussion and brass wind, Philip Semenov on drums, Vladimir Efimov on guitar, Vladislav Korotkikh on flute, recorders and low whistle, Ruslan Kirillov on bass, and, perhaps, Yury Khomonenko on accordion and percussion. How would you describe your music and which bands would you compare yourself with ? 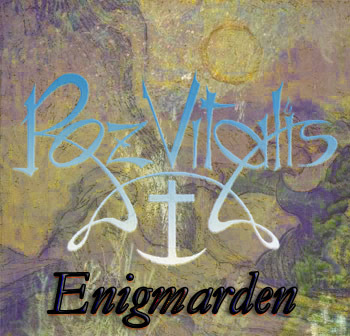 Roz Vitalis plays music which can be christened as a “symphonic avant psychedelic prog”. The spiritual essence of Roz Vitalis musical approach is to make a contribution to overcoming of chaos, unmasking of spiritual evil, transcending and mystical enlightenment. Music of Roz Vitalis studio albums were compared by reviewers with Gentle Giant, King Crimson, Univers Zero, Art Zoyd, Van Der Graaf Generator, ELP, Halloween, Anglagard, Le Orme, Banco, Tangerine Dream, Klaus Schulze etc. Music of Roz Vitalis live albums were compared with the two first mentioned bands, and also with Pink Floyd, Hawkwind, The Doors etc. Personally I would not like to make some comparisons. I hope that Roz Vitalis plays just music which is good and interesting. In your view; which is the best album you have ever released ? I think that such albums can be “Compassionizer”, “Lazarus”, and “Live at Mezzo Forte, Moscow, September’09”. But the very best albums are the forthcoming ones. All your albums are self released. What is the pros and cons of going it alone ? We should not wait for the release of the album for a long time. It is the important positive side of being alone. The small amount of sales and distribution are the negative side of such approach. to venture into the Western Europe and/or America for gigs ? The gigs’ scene is small and expands slowly. And I already said that Roz Vitalis have plans to come in Finland in March 2011. I have no more long-term “projections”. Big thanks to all our listeners! An interesting band, I reviewed Compassionizer (which I like). Thanks for the opportunity to read more about this band. Now Roz Vitalis page at RAIG is inactive. previously mentioned page at MALS Records is already inactive. I like what I've heard by them. Kind of like a more avant garde version of Soniq Theater. The 3rd studio album "Das Licht Der Menchen" (2004) including only 3 epic 20+min tracks is now available in wav quality! titled "Lavoro d'Amore" has been released in March by Italian label Lizard Records. The newest album “Lavoro D’Amore” starts the new stage of ROZ VITALIS biography. Like four previous full-length studio releases, "Lavoro D’Amore” album contains purely instrumental music. The sound in general is based on the keyboards by Ivan Rozmainsky who is permanent leader of the band, but drums, percussion, bass, electric and acoustic guitars, flutes and trumpet are also very important! This is the most “rockish” album of the band, and it was recorded completely without guests reflecting “concert power” of ROZ VITALIS. 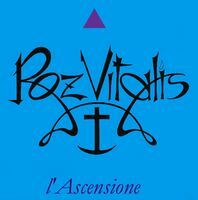 The style of "Lavoro D’Amore" – like any other ROZ VITALIS stuff – can be described as the "Unclassifiable Branch of Prog Rock". However, such tags as "Psychedelic Art-Rock" or "Between Sympho Prog and Avant Prog", are, perhaps, also partly relevant. Music of ROZ VITALIS is about The Ineffable and The Unfathomable. 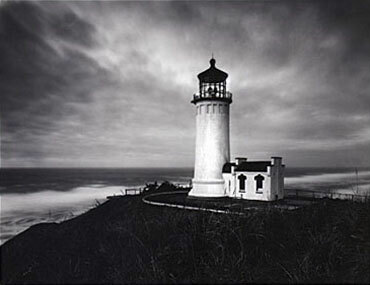 In particular, it is about human aspiration for The Unapproachable Light. "Lavoro D’Amore means Labor Of Love. What Are You Thinking About? What is it? Our answer is the following. It is a metaphor of a person’s spiritual way. 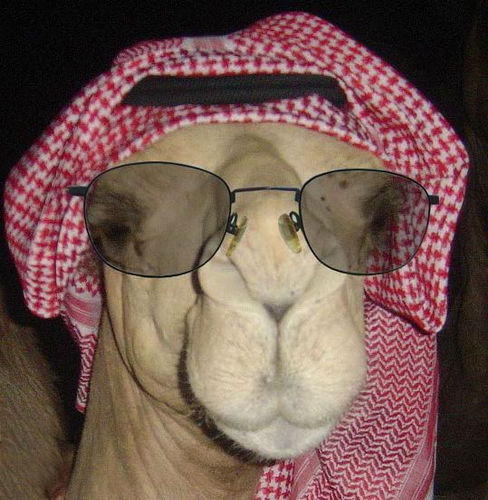 It is like a path from superficial knowledge to deepest insight. It is an analogue to the road into both the Unanticipated and Ascension Dream. It is a manifestation of both Need for Someone Else and Every Branch That Beareth Fruit. It shows space where There Are The Workers of Iniquity Fallen and Invisible Animals moved. It is a journey from sudden The Acknowledgement Day to Ending of the something very great. It is just the Ostents of Love."